Christie-Johnston is PPS’s new MD. 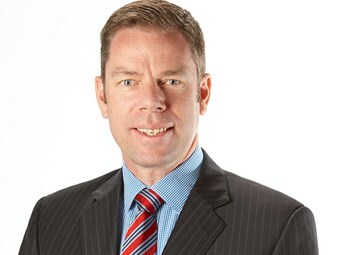 Penske Power Systems (PPS) will have Hamish Christie-Johnston as MD at the start of next year. Christie-Johnston will take the position on the return to the US of president and CEO Rob Sisk to take up a new role there. Christie-Johnston has been with PPS since August 2014, as director off-highway. "Since joining Penske Power Systems, Hamish has led significant expansion in power generation, defence, marine and mining sales," PPS says. "Hamish’s background and experience, together with his achievements in building strong customer relationships, growing sales and aftersales support, make him ideally qualified to lead the company forward; through continued business growth and the delivery of Penske’s commitment to customer service excellence. "Prior to joining Penske, Hamish accumulated substantial experience with Caterpillar and later held senior executive roles in prominent heavy equipment suppliers to the mining industry. Hamish holds a mechanical engineering degree and a MBA." "Prior to that he had held senior roles with Detroit Diesel and Penske Corporation." At the start of Sisk’s tenure, the then MTU Detroit Diesel Australia was experiencing operational difficulty as part of market pressures from the global financial crisis, PPS notes. "Through Rob’s leadership and strategic direction, the business was guided back into a position of growth. "His strategies have laid the foundation for continued business improvement in sales and customer service, and the subsequent acquisition by Penske Automotive Group in 2014." News of Sisk’s return comes as ratings agency Moody’s Investors Service gives the thumbs up to Penske Truck Leasing (PTL), raising its senior unsecured debt rating in the US from Baa3, assigned in July 2015, to Baa2. "PTL's free cash flow tends to be counter-cyclical, and Moody's expects improving free cash flow over the near term as the company curtails fleet investments," Moody’s says. "Along with the predictability of revenue from the full service leases, this approach helps to mitigate the relatively high financial leverage." Though it has some qualms about PTL’s rental business and liquidity profile, with US debts of "$875 million to over $1 billion coming due in three of the next four years", Moody’s notes the firm generally has "good control over operating costs". "The stable ratings outlook is predicated on Moody's expectation of continuing stable market conditions and increasing interest in PTL's truck leasing and logistics businesses from new and existing customers, resulting in solid operating performance and credit metrics," it says.